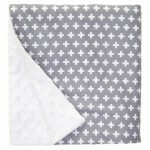 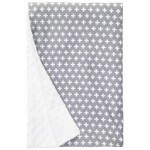 This modern print features a charcoal grey background and crisp white cross design. 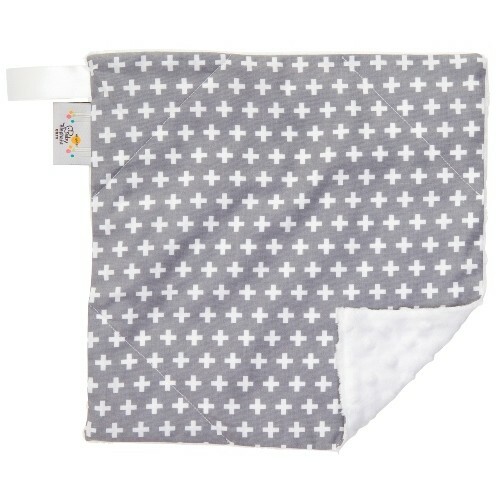 It’s the perfect gender neutral choice for your sweet baby boy or girl and will coordinate with everything. 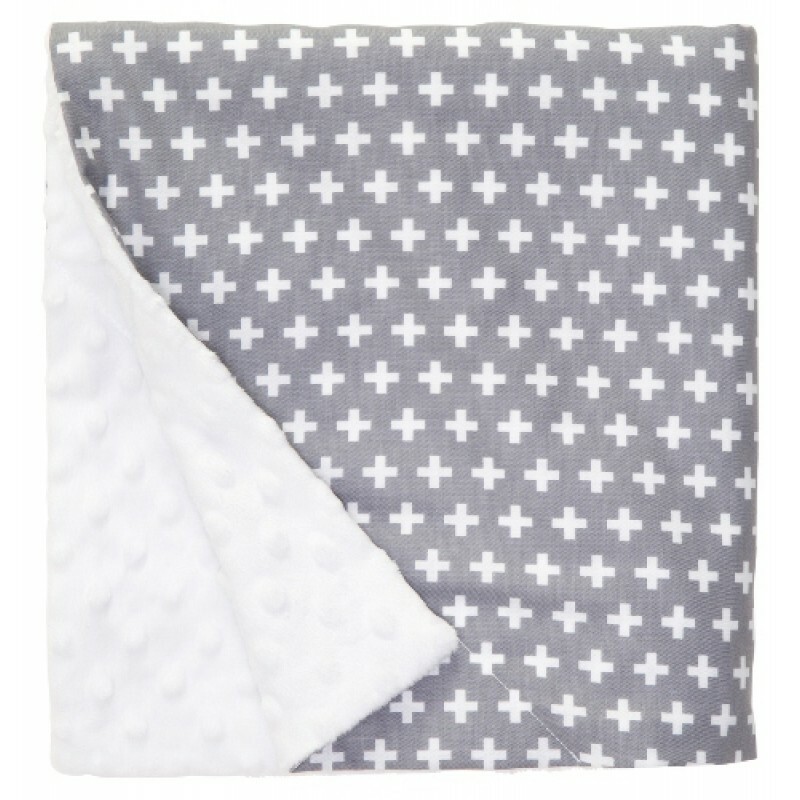 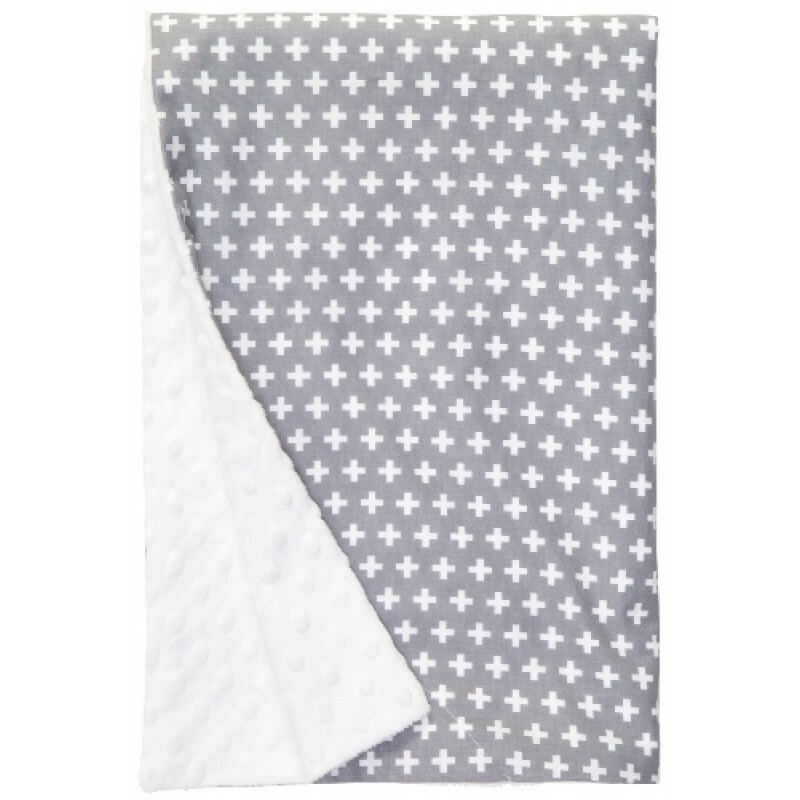 Blankets are backed with white minky.